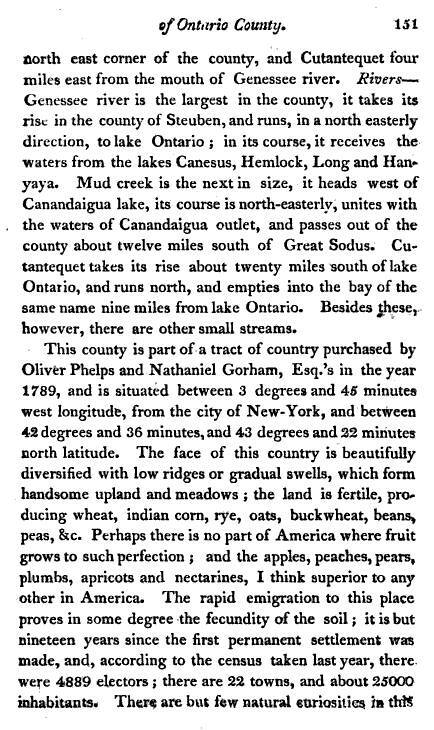 This review is a confirmation of much of the disease topography noted in the other western New York articles covered. 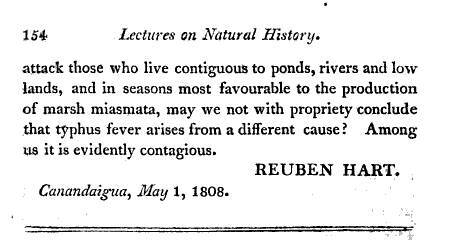 However, Reuben Hart provides us with a fairly rich description of the natural history of a region, with subsections lacking in the other examples of this writing that were reviewed. Separate sections review the medical springs, medical plants and diseases, which sets this article apart from the rest. 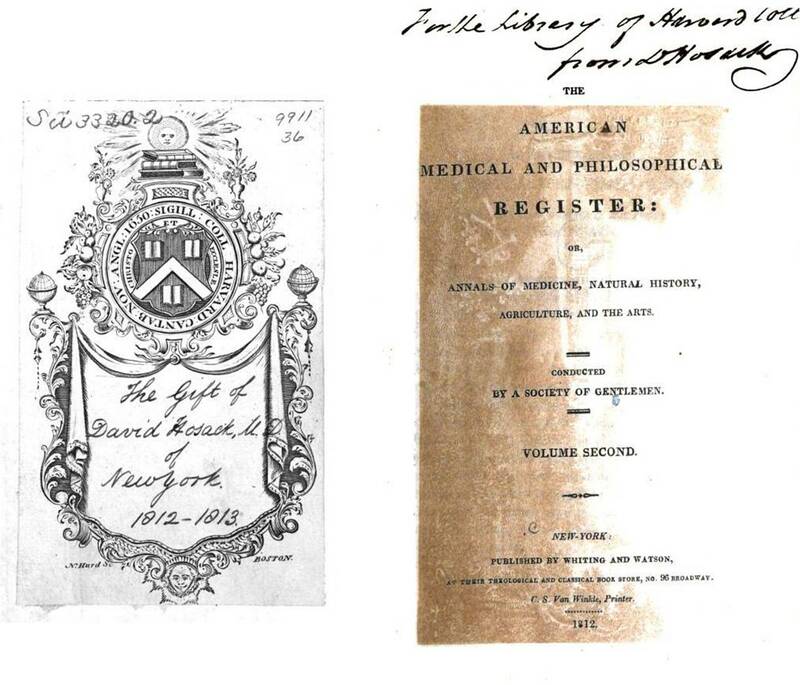 More than ten years have passed since the first plans were defined to study medical topography and climatology. It has been nearly five years since Hosack requested that a fairly detailed approach be provided by residents and officials residing in some of the more distant parts of the state. 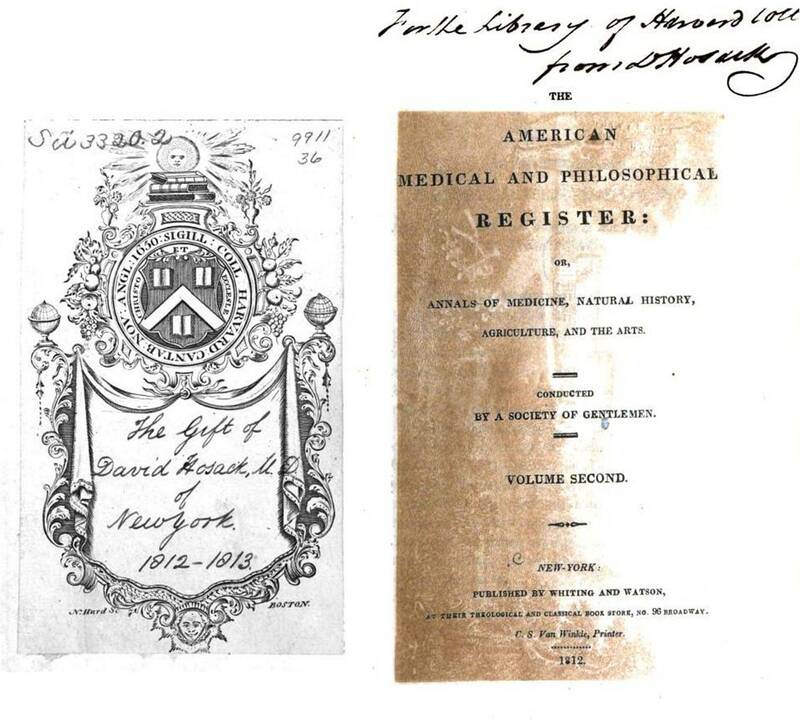 The purpose of these was to reviewing the medical geography and relate it to the yellow fever and other disease behaviors. 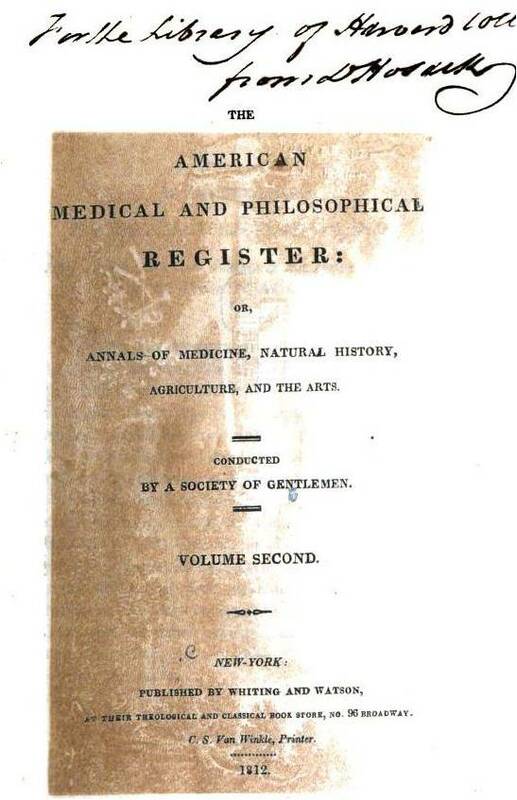 Due to the philosophy for the time–the arguments about miasmatic versus contagious theory for disease–the purpose was to further explore what diseases were related to contagion and which were not. 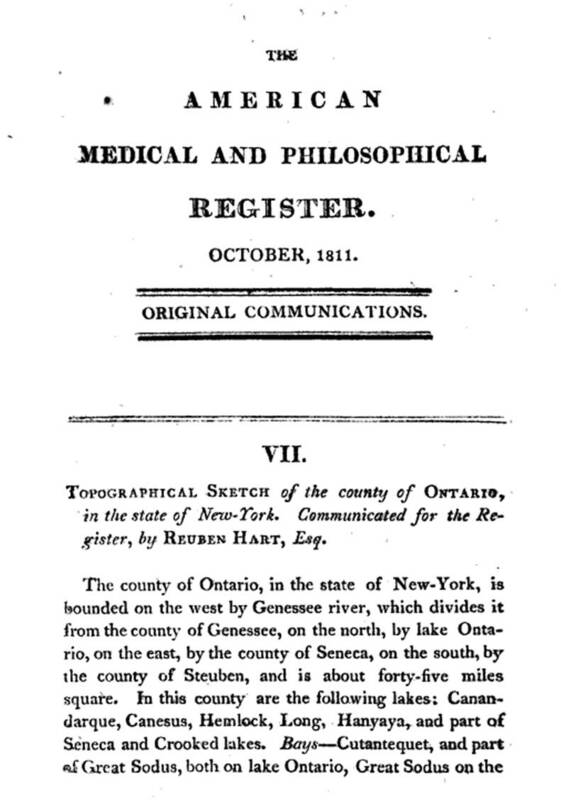 Interestingly, just before Hosack initiated this request, he came up with his own theory in 180s that there were three types of diseases–those due to miasma, those due to contagion, and those do a hybridized version of these philosophies, initiating as miasmatic, but then changing to a contagious disease, and vice versa. 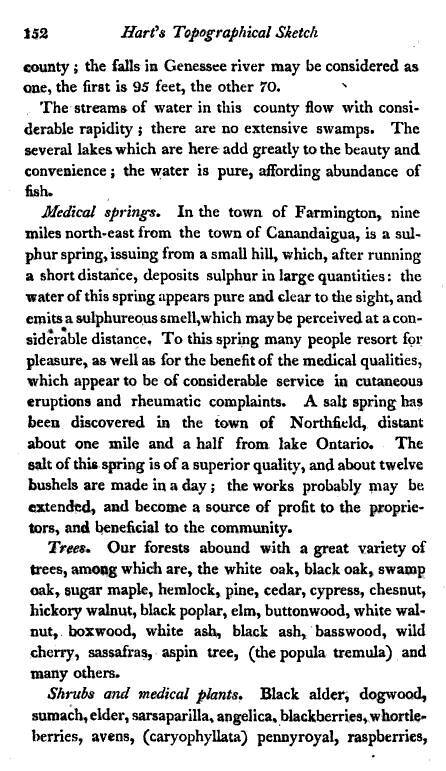 Note the details about the medicinal plants of this part of New York State. The majority of plants the writer knew about were in use or about to be used as medicines. 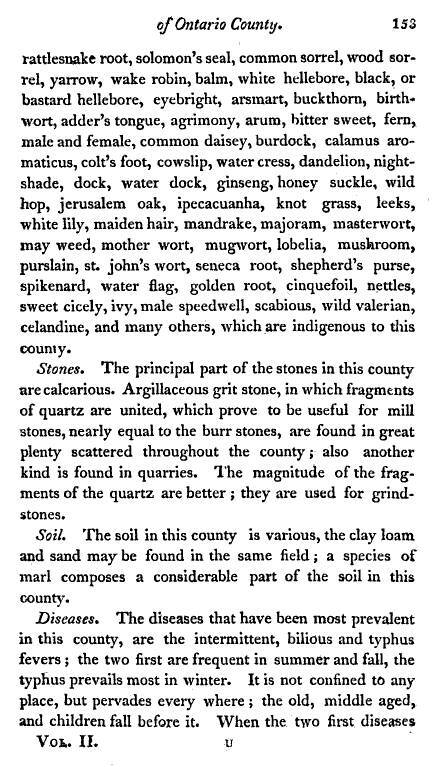 He states that these plants are indigenous to the country, but historical evidence suggests that some of them were introduced to the United States a century or two before, such as dandelion, coltsfoot, motherwort and purslane.